Cigars and cigar culture have a long and storied history. The age-old practice of cigar smoking dates back to the 10th century, in which the ancient Mayans smoked tobacco wrapped in either palm or plantain leaves. Europeans landing in the New World quickly adopted this custom and saw it spread like wildfire. These are the key legends that pioneered the cigars we are familiar with today. The history of tobacco, or more specifically, the history of cigars, would be remiss without noting the “discovery” of tobacco by Christopher Columbus, who, on his famed 1492 voyage, was offered dried tobacco leaves as a token of friendship by the Arawak Indians of the Caribbean. Several days later, while docked off the coast of what is now Cuba, two of his crewman, Rodrigo de Jerez and Louis de Torres, witnessed the local Taino people smoking tobacco through Y-shaped tubes that they would insert into their noses and inhale. De Jerez and de Torres also partook of the ritual. Yet, who would have thought that after bringing tobacco back to Spain in 1493, it would be the “seed” that grew into one of the most colossal, multifaceted, and controversial industries the world has ever known? What follows are the back stories to some of the first men who helped in the development, production, and marketing of tobacco in the New World. Because tobacco was first brought back to Spain, we have the Spanish to thank for the spread of its massive popularity throughout 16th century Europe. It’s also no coincidence that Cuba, once part of the Spanish Empire, became the center of the cigar-making universe. One of the reasons for this wasn’t the excellent soil Cuba had for growing tobacco. In fact, tobacco wasn’t even planted in the fertile Vuelta Abajo region of western Cuba until 1580. The reason had more to do with the fact that efforts to grow tobacco in Europe to save on shipping costs failed due to weather and soil conditions. That left the New World as the only hemisphere in which the plant could be properly grown and cultivated. By 1535, Cuba was shipping the best grade of tobacco back to Spain. Hundreds of farms averaging around 33 acres were devoting 50% of their vegas to growing tobacco; the other 50% to food crops. During this period in history, Spain had a virtual monopoly on tobacco by controlling almost all of the production. Meanwhile, back in merry Olde England, the English, who were also seduced by the leaf, and not exactly friends of the Spanish, were forced to pay high import taxes on the commodity. 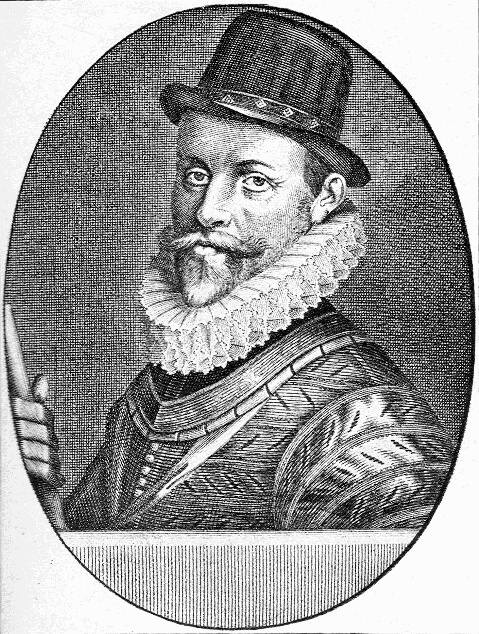 That same year, Hawkins and his men brought back both the leaves and the practice of smoking to England, though it did not gain popularity until Sir Walter Raleigh returned from his 1584 expedition to the colonies. And it was the colonies that would provide the British with a way around Spain’s high tobacco tax. 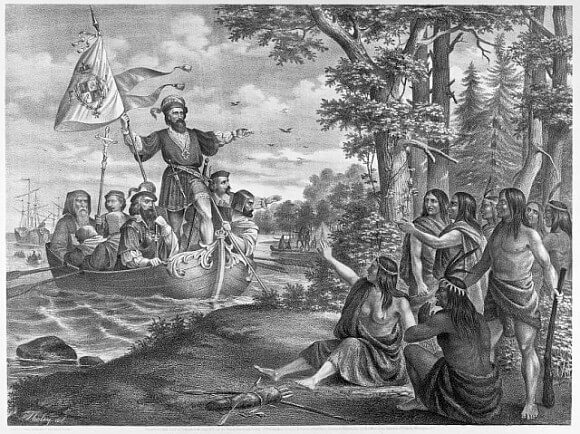 John Rolfe (1585–1622) who is also known as the man who married the Powhatan Indian princess, Pocahontas, was responsible for the first successful cultivation of tobacco as an export crop in the Colony of Jamestown, Virginia. Moreover, in 1607 the Jamestown colony was founded specifically for growing tobacco so that Britain would not be dependent on their enemy, Spain, or Dutch and Portuguese smugglers. Most of the Spanish colonies in the New World were located in the southern region where the climate was more conducive to growing high-quality tobacco. Growing tobacco in Jamestown, VA was much more difficult. But Rolfe, a businessman who saw the potential to profit by undercutting the Spanish importers, forged ahead. Instead of using the wild, native tobacco seed, Rolfe acquired seeds from a higher-quality strain that was being grown in Trinidad and South America – a risky move, since Spain declared that anyone selling tobacco seeds to a non-Spanish citizen would be punished under penalty of death. In 1611, Rolfe was the first to successfully cultivate Caribbean Nicotiana tabacum in North America for commercial export. This new strain had an inherently sweeter flavor, which Rolfe named “Orinoco.” One year later, Rolfe established his Varina Farms plantation on the James River, and in 1614 Rolfe’s first harvest, consisting of four hogsheads (barrels) of leaf, was exported to England. Others followed, establishing more plantations along the river, and the Virginia colony began earning a considerable profit from the new cash crop. In 1622, The Virginia Company of Jamestown shipped 60,000 pounds of tobacco to England, but the quality varied so much that only 40,000 pounds of the shipment was sellable. The British brokers insisted that unless quality improved, they would stop buying it. By comparison, the tobacco coming from Spain’s colonies at the time was selling at eight times higher than Virginia leaf. 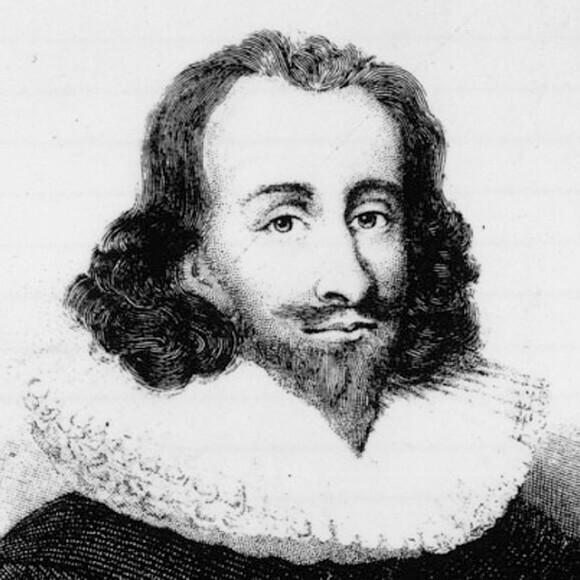 As a result, in 1624 The Virginia Company was taken over by King Charles I, which led to its dissolution and left it to the designs of London businessmen whose representatives in the colonies were ordered to burn poor tobacco prior to export. Nonetheless, tobacco production continued to grow in all of the colonies, which extended west to Kansas, and north to the Great Lakes regions. By 1629, smoking tobacco in clay pipes had become the smoke of choice in England, which caused a pipe manufacturing boom. Tobacco production in Virginia, which was now grown specifically for pipe consumption, had reached 1.5 million pounds. By the mid-18th century, tobacco production and its use had become so widespread in both the Colonies and abroad that consumers wanted even more of it, and at a reasonable price, as well. Among the first men to recognize the need for large scale manufacturing and distribution was a New York snuff maker and entrepreneur who launched what would later become known as the oldest tobacco company in America, and set the pace for the mass production of tobacco products. Lorillard also had a gift for branding, and he adopted the trademark of a native-American standing beside a hogshead of tobacco and smoking a pipe, which later became the world’s most recognized tobacco trademark. Most of the tobacco Lorillard used for his snuff was from Virginia. Over the years he perfected the art of snuff making, creating his own unique flavorings, and the business made slow and steady progress; even doing well enough to survive the American Revolution. Unfortunately, Pierre did not. In 1776, during the British occupation of New York City, Pierre was killed by Hessian mercenaries. 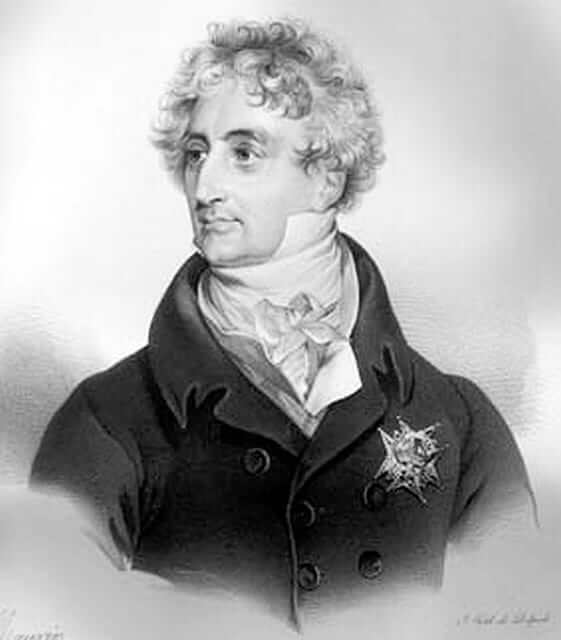 Pierre’s sons, Pierre II (a.k.a. Peter) and George Lorillard took over the company, and later moved the factory to a grist mill on the Bronx River. By the end of the 18th century, P. Lorillard had become the nation’s biggest producer of chaw, snuff, and cigars. Tobacco grown in Virginia and the other southern colonies was considered unusable for cigars. However, tobacco grown in New England’s Connecticut River Valley, specifically, Windsor, Connecticut, was well-suited for cigars thanks to its soil, which consisted of a rich, sandy loam (by coincidence, not unlike the soil in Cuba’s Vuelta Abajo, and Nicaragua’s Jalapa Valley). Combined with the short hot New England summers, farmers annually yielded high-quality crops. Windsor’s first “cigar grade” tobacco crop was grown in 1640, and by the turn of the century, Connecticut-grown leaf was selling at two and three times the price of Virginia tobacco. It was also many times stronger, so the tobacco was sometimes flavored to take some of the sting out of it. Word of the high-quality leaf spread, and by 1704 it was reported that Connecticut tobacco was being shipped to the “West Indies,” which would have included Cuba. In 1762, the British Army captured Havana and occupied Cuba for nine months. Although Spain eventually regained control of the island by treaty, during the British occupation, Cuba’s superior tobacco had reached new heights of appreciation in England, and the popularity of Cuban cigars had become greater than the pipe. Lt. Col. Israel Putnam (1718-1790), popularly known as “Old Put,” was among the more notable officers who took part in the British expedition against Cuba. Born in Salem Village, MA, he moved to northeastern Connecticut in 1740, took up farming, and became better known for his exploits as a military man, serving as an officer in the British Army, then later fought against the Brits as a member of the American Continental Army’s Connecticut Militia during the American Revolution. 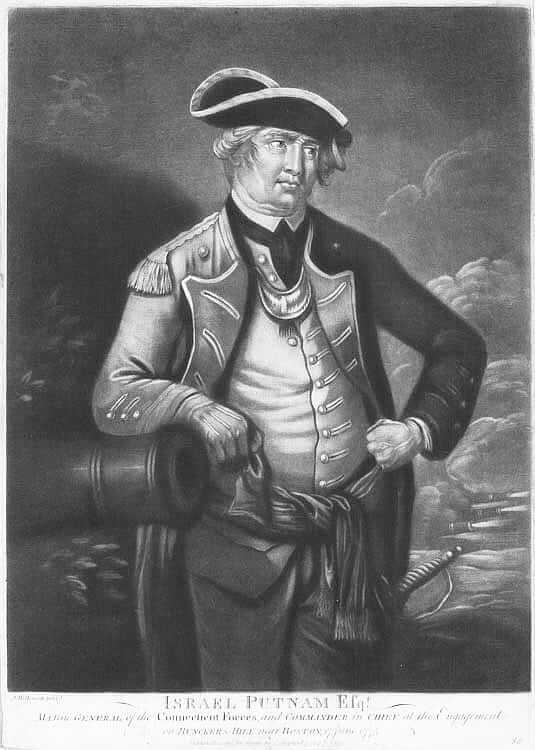 During his military career Putnam narrowly escaped death on several occasions, but in 1762, during the British invasion of Havana, he survived a shipwreck, and when Putnam returned home to his farm in Connecticut, he brought back with him an unknown amount of native Cuban tobacco seed and 30,000 Cuban cigars. The seeds were first planted in the Hartford area, and the development of what is known today as “Connecticut wrapper” was born. By 1770, cigar smoking was catching on throughout New England and all of the major North American port cities. Almost all cigars were homemade, commonly rolled by farm wives. These domestically-rolled cheroots were called “paste cigars” because glue was applied to the wrappers to prevent the cigars from unraveling. The wrappers used were not the golden shade-grown type found on many of the best cigars made today. The leaves were dark and crude in appearance, and the finished cigars were sold cheaply to local merchants or Yankee wagon peddlers. But as the decade worn on, Putnam’s Cuban seeds had adapted well to the New England climate, and the result was a huge boost in the overall quality of Connecticut tobacco. As the years passed, it improved even more as farmers began experimenting with seeds from other parts of the world, while also improving their processing techniques. At the turn of the 19th century most of the cigars smoked in the U.S. were either manufactured in the U.S. or Europe, but most of the cigars advertised in the States, claimed to be from “Havana.” Cuban tobacco was considered to virtually without peer, yet, Connecticut tobacco proved to be some of the best cigar wrapper and binder leaf available, and in 1804, Cuba imported 1 million pounds of U.S. tobacco to keep up with the European demand for cigars. Many more American tobacco men – growers, manufacturers, and entrepreneurs – would follow, lending their own contributions to an ever-growing industry. John Middleton, David Swisher, R.W. Tansill, and Stanford Newman, were just some of the men behind cigar brands that continue to line the humidors of cigar lovers. However, were it not for their savvy predecessors, some might wonder if the premium hand-rolled cigar would be as popular as it is today. Guest article by Gary Korb, Executive Editor of Cigar Advisor. Korb has been writing and editing content for CigarAdvisor.com since its debut in 2008 and has worked as the Chief Marketing Copywriter for Famous Smoke Shop since 2001. An avid cigar smoker for over 30 years, during the past 14 years he has worked on the marketing side of the premium cigar business as well as a creative, blogger, and a cigar reviewer. A graduate of the Newhouse School of Public Communications at Syracuse University, prior to his career in the cigar business, Gary worked in the music and video industry in both marketing and public relations. It takes a very rugged sort of manly man indeed to risk mouth and lung cancer.